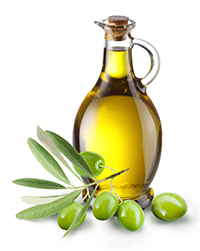 WEBINAR: New applications of SERS for analysis of edible oils, essential oils and fats. In this webinar, several novel applications of Surface-enhanced Raman Spectroscopy (SERS) analysis to determine different substances in edible oils, essential oils and fats were investigated with a Thermo Scientific™ DXR™ Raman microscope, and are presented and discussed. The antioxidant BHA, vitamins, the evolution of fat content in minced meat, or the presence of potential contaminants such as phthalates, mineral oil or chlorinated compounds are considered. One advantage of this procedure is that Raman spectroscopy requires minimal sample handling. Another significant advantage is that SERS can easily expand the capabilities of conventional Raman. Dr. Cristina Nerín is the head of GUIA (Analytical Research University Group) and a member of the I3A (Aragón Institute for Engineering Research). Her research is focused on environmental chemistry, analysis of industrial risks, and packaging with emphasis on both active and intelligent materials for food preserving and safety-in-use for consumers by means of migration studies. Dr. Jesús Salafranca is an associate professor in the GUIA and is using Raman spectroscopy to characterize packaging materials and migration of substances in food simulants. Mrs. Magdalena Wrona is a PhD student in the GUIA using Raman spectroscopy to understand new packaging materials. What is your expected purchase time frame? I would like to receive marketing and promotional updates from Thermo Scientific that match my interests.